Titus Welliver IS Hieronymus Bosch. 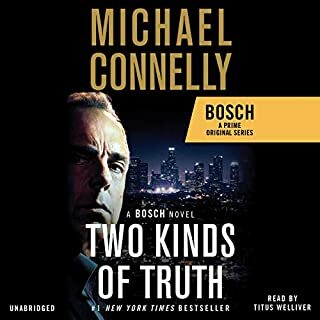 For anyone familiar with the television series, the successful narration of Connelly's excellent detective series must necessarily begin with the unmistakable voice of Welliver as Hieronymus "Harry" Bosch. The television adaptations, of course, streamline the stories, and much of what is in 'Two Kinds of Truth' seems like background to the storyline(s) presented there. Nonetheless, as my introduction to Connelly's work, this one is pitch and voice perfect. I'll listen again, and have quickly added "Trunk Music" to my wishlist. So many great books, so little time. Adam Griffey is living two lives. By day, he teaches literature. At night, he steals it. 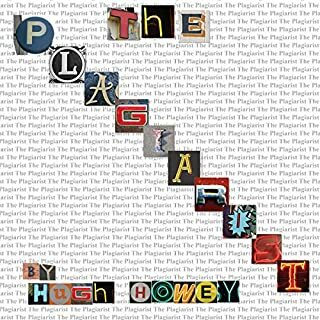 Adam is a plagiarist, an expert reader with an eye for great works. He prowls simulated worlds perusing virtual texts, looking for the next big thing. And when he finds it, he memorizes it page by page, line by line, word for word. And then he brings it back to his world, the real world, and he sells it. But what happens when these virtual worlds begin to seem more real than his own? What happens when the people within them mean more to him than flesh and blood? An intersting twist on the multiverse and our anticipated ability to simulate reality in a supercomputer. 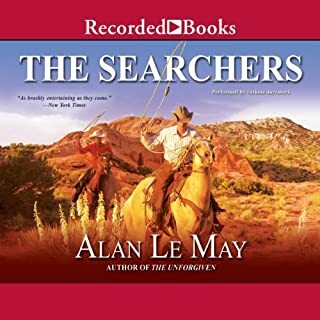 The West like no western ever presented, a history of a lost time and people. Gaiman by Gaiman ! Absolutely Perfect !! Gaiman is the perfect reader of his own stories, he presents his story with the nuance that only its author can deliver. 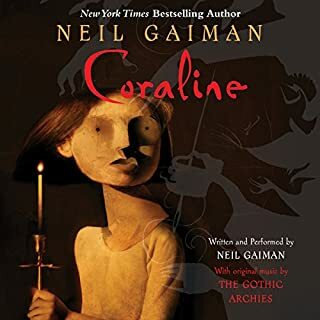 Coraline is one of Gaiman's most approachable stories, truly for children of all ages, meaning simply that it recalls in all of us the uncertainties and resultant horrors of living in this world as a child. Gaiman brings us all our fears remembered, and ultimately overcome. A classic modern tale. 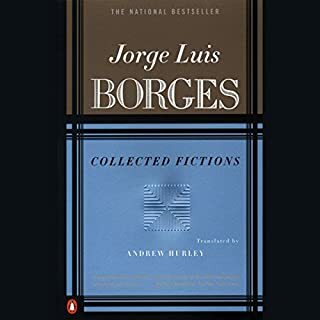 Disappointing short shrift to a great short story collection.